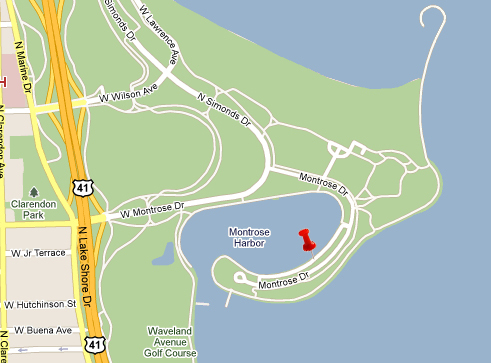 From Downtown take Lake Shore Drive north to the Montrose Avenue exit. Harbor Drive. You’ll see the funky old bait shop on your right. Turn right. Follow the road around the Harbor. You’ll pass a gated entry, but keep going. dock to slip E-18. We’ll be waiting for you. Google here or call us!